Poor Man's Pinball! : Big plans for this year! 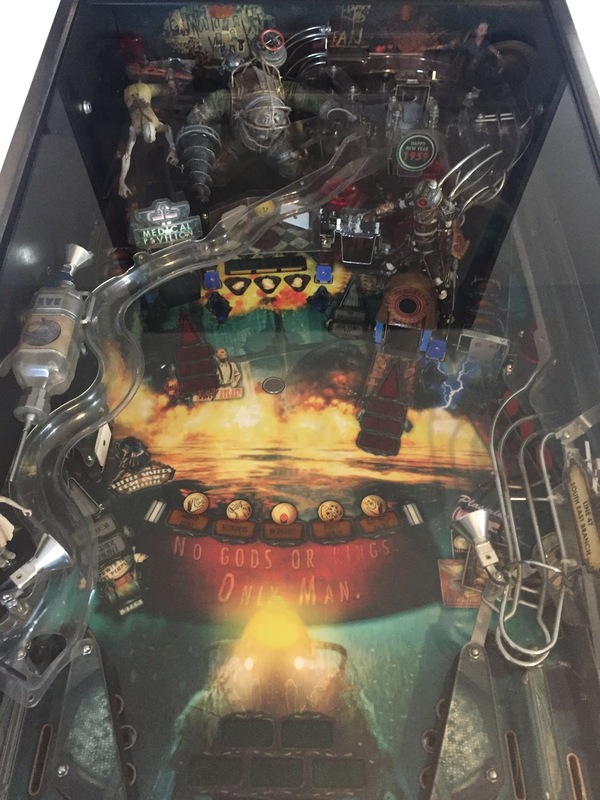 A building blog for my homemade BioShock pinball machine! Big plans for this year! This year will be about finishing the machine. It's so close I can basically taste the highscores already! But... (unexpected, huh?) ...I will also be remaking the motherboard. Read more about Fritzing here. While creating the new motherboard, I will also transplant the location of the board into the head instead of the body. This is common practice in consumer pinball machines, and I can see why. It's basically impossible to service the machine without moving the glass, board and what not. It's also more or less impossible to troubleshoot hardware errors. On top of that, I'll rewrite most of the code as I now have a better understanding of the programmatic requirements of a pinball machine (which wasn't there to begin with - never seen the innards of one before starting this project! ). nice! cant wait to see what you come up with.